Constance Clare-Newman always had good posture. She had stood up straight and pulled her stomach in since she was a little girl in ballet class. 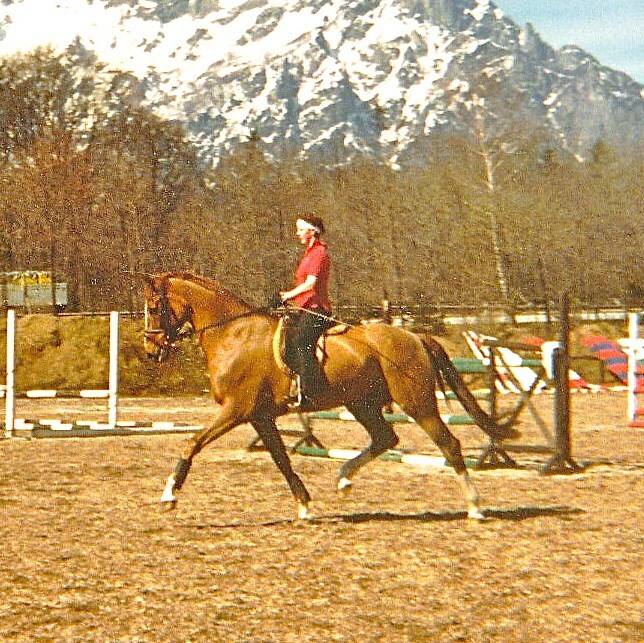 She pulled her shoulders back and held them strong when she rode dressage horses professionally for 10 years. So when her back always hurt and she was diagnosed with sciatica, she knew it wasn’t from her posture. But she was wrong. All that pulling up and and holding back and squeezing inwards created muscle strain and contraction that pressed on the nerves and stressed the discs. Constance learned that the “right way” to hold yourself turns out to be the wrong way. After going to many doctors, physical therapists, (who prescribed the usual medication or exercises) Constance came across the Alexander Technique. The Alexander Technique works much like classical dressage–through establishing the ideal relationship between the head, the neck and the back while in movement. This “core” of the body supports the limbs and provides the structural environment for breathing and the internal organs. While learning to access this natural relationship between the head, neck and back from the inside, students learn body awareness, spatial awareness and movement awareness so that long-held patterns of movement, posture, breathing and muscular tension can be changed. The Technique is usually taught one-on-one because the guiding touch of the teacher helps the student to learn new sensations of internal space and easy balance. Students leave an Alexander lesson feeling taller, lighter and floaty. Constance also teaches small groups of 5-8 riders in workshop form. Workshops include ground work and work on the longe so riders can practice new patterns and movement while not worrying about how the horse is going. Call or e-mail for a conversation!